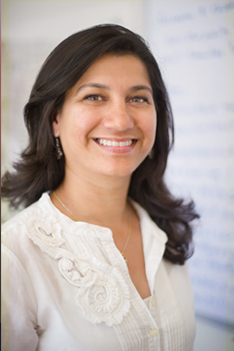 Ashlesha Datar is a Senior Economist and Director of Program on Children and Families at the Dornsife Center for Economic and Social Research (CESR). Her research focuses on the role of school, neighborhood, and other contextual factors in determining children’s health and educational outcomes, with a special focus on childhood obesity. In her current research, Datar is studying the factors explaining the emergence of socioeconomic disparities in childhood obesity. She is also leading a large NICHD-funded study to examine how food and physical activity environments influence diet, activity behaviors and obesity among military children. She is the recipient of several grants from federal agencies and private foundations, including the National Institutes of Health, U.S. Department of Agriculture, U.S. Department of Health and Human Services, and the Robert Wood Johnson Foundation. Her research has been published in leading health, education, and policy journals. Datar received an MA in Economics from the Delhi School of Economics and a Ph.D. in Policy Analysis from the RAND Graduate School.